I would be pleased to recommend NTG Clarity for similar projects ... "
The hospitals in the Grey Bruce region of Ontario, Canada needed inter-connectivity to share information. Our NTG team of senior wireless and system engineers gathered the customer requirements, designed and built the network.NTG operated the network for 3 years, providing full operational and maintenance support. The NTG team of senior consultants performed a review of the current Algeria Telecom Network processes, operations, efficiency, and developed a new design for their next generation Network. Our team also engineered RFPs, selected vendors, and monitored the new implementations of the network, OSS, and Network Operations Center.Algeria Telecom is going through the upgrade of their network to provide their customers advanced voice and data services at competitive pricing. NTG has been providing technical consulting for 3 years for this network transformation. With the de-regulation of the Telecom industry in Canada in the late 90’s, there was a high demand for infrastructure build. NTG was one of the major organizations to design and build these new networks. GSM Network Transmission and Site Tracking This project is an important and strategic project for number one GSM operator in Egypt. The project includes implementation of NTS NIC, Network Project Management and Work Flow along with IP Management for Vodafone Egypt GSM Network. The solution integrates with Remedy to complete all Site Roll-Out Activities within the organization. 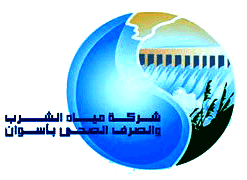 The Aswan Water Authority required an ERP system to manage the business and provide a high level of customer service. Our NTG team analyzed the customer requirements and customized and implemented the NTS ERP to meet all their needs. The NTS ERP solution included Payroll, Billing, Accounting, and CRM (Customer Relations Management). NTG have been providing support and maintenance of the system for the past 5 years. 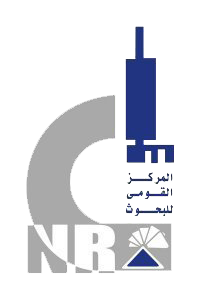 The National Research Council of Egypt needed to upgrade their network in order to provide high quality services to their staff and researchers. NTG completed the design and built the new network. The network provided state of the art Gigabit Ethernet LAN connectivity and Internet access to NRC researchers and included the implementation of a campus style network connecting 1300 nodes across 15 buildings. The network consisted of 3 central switches, 13 local building switches, and 35 departmental floor switches, all managed centrally with network management software. NTG has been involved in multiple VoIP projects including assisting Syria Telecom to deploy a VoIP solution. We also performed an audit on the VoIP implementation at Concordia University in Montréal, Canada. NTG further provided NTS OSS, a full billing and customer care solution for VoIP as a part of NTS. It was very edifying to work with you and your group of professionals on the VoIP project. I was quite impressed by both the technical expertise that you brought to the table and the professional way in which you managed the project and our needs. Our department is exacting in our expectations and I would like to thank you for not only meeting them but exceeding them. The Association of Medical Professionals was looking into increasing and improving services to their members. The NTG system helped us improve operations, extending and enhancing our services, saving money, increasing efficiency and enhancing communications with project stake holders. Enhancement to our business processes included Membership Management, Service Authorization Management, Internal Auditing and Cost Accounting, Member Notification Management and Decision Support Area. Thanks for Stage, I was able to improve the performance by 1% and save over 10 Millions SR. yearly. It was a perfect investment. My team and I were very impressed with NTG Clarity’s response to solving a short term problem with a high profile project. The scope of the project was to install and commission equipment in 384 sites across the country to deliver a full range of DSL services. Acting as National Project Manager for this project, NTG Clarity coordinated with our Regional Managers, our Test Centre, our suppliers, and our installers.Through listening, leading, and their innovative use of technology to bring many pieces of information together automatically from disparate sources, NTG Clarity contributed greatly to the success of the project. NTG designed, developed, implemented, and supported a web based ordering system for Rogers Communications corporate customers.This system allowed the customers to manage, update, add or cancel services at any time.NTG Clarity Networks Inc. has been working on various consulting projects related to telecommunications for our company for over the past 2 years. We have been very satisfied with their work and I recommend them for assignments related to their area of expertise.